Effective: Sanitall uses Vesta Vapore Dry Steam Vapor Systems to clean nearly anything. This equipment allows for the use of 220 degrees of heat which kills bacteria such as MRSA, E-coli, salmonella, listeria, ring worm, etc. as well as melts grease and grime. Our methods are highly effective and allow for very thorough cleaning and sanitizing of all surfaces and materials. Our cleaning technicians are professional and trained to pay attention to detail. They really make it a point to clean the areas that other companies may overlook. We believe that this sets us apart from the traditional “cleaning” companies. This attention to detail will make your space, whether a home, office, school, hospital or business more comfortable and allow it to stand out to your friends and customers. 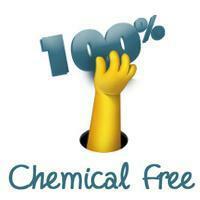 Environmentally Sound: Sanitall is 100% chemical free. We use no toxic cleaning agents of harsh detergents. 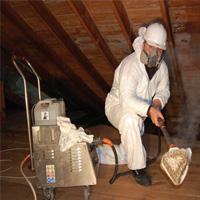 STREAM to STEAM – Our chemical free methods use the power of Dry Vapor to clean deeply and effectively. The conventional chemicals under your sink contain many toxic ingredients. These harsh chemicals contribute to poor indoor air quality, pollute our waterways and damage human health. Sanitall is committed to the long term health of the planet and its inhabitants and knows that reducing dependence on chemicals will help. 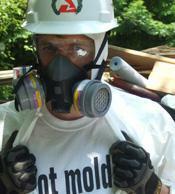 Healthy Cleaning: Most people don’t realize that the air inside of our homes is more polluted than the air outside. Sanitall offers allergy testing, HEPA filtration, a chemical free process, and works to eliminate allergens and unwanted pathogens from your space. This process is very beneficial for people concerned with allergies, asthma, chemical sensitivities, respiratory conditions and immune compromised conditions.